Pinole is the breakfast superfood you didn’t know you were craving. Guest Blog Post by Emily Monaco. can make educated choices. Her work has been published in the Wall Street Journal, Vice Munchies, and Serious Eats. How many of us start the day with a bowl of oatmeal? It’s rich in fiber, filling, and a comforting way to start the day. But if you’re after energy, nutrients, and antioxidants, the Mexican superfood blend known as pinole might be a better breakfast cereal choice. Pinole is a blend of toasted purple heirloom maize, raw cacao, sugar, and spices that was first prepared by the Aztecs, though its recent fame is thanks to the Tarahumara people of northwestern Mexico. The Tarahumara, featured in the 2009 book “Born to Run,” are known for their tradition of hundred-mile-long barefoot runs, a habit fueled by pinole. Pinole does boast an impressive nutritional makeup, with vitamins A, B1, B2, B3, C, and E from the cacao, blood sugar stabilizing powers from the cinnamon, and proanthocyanidins – a type of polyphenol – from the purple maize. One of the top providers of pinole in the U.S. is Native State’s Purely Pinole, a company that puts a modern spin on tradition by reinforcing the blend with pea protein. This makes the superfood cereal a no-brainer choice over other porridges. The added pea protein, on the other hand, keeps you sated, while the other ingredients in the time-tested blend fill you with energy and endurance for whatever awaits you in your day. 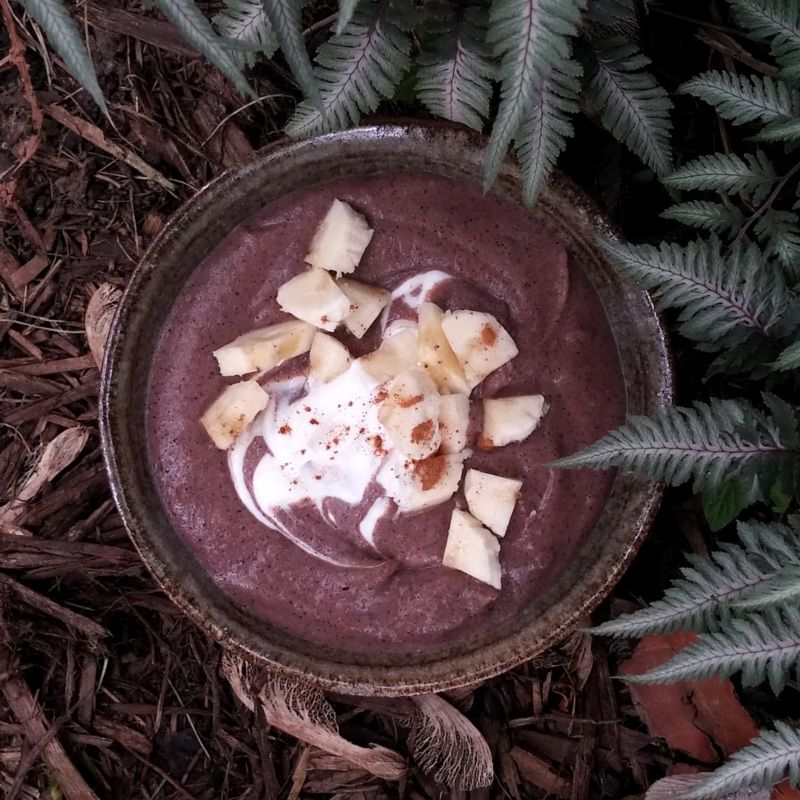 “We work with a lot of trainers and people who live really healthy lifestyles and they all reported a difference in their athletic performance after eating pinole for a couple weeks,” Angela Palmieri, Native State’s co-founder, tells Well and Good. In addition to added protein, Native State also offers a good deal of transparency: Palmieri’s husband, co-founder Claudio Roumain Ochoa, explains that not only are the cacao and cinnamon in the product Fair Trade certified, but every ingredient is Non-GMO Project Verified and most are also certified organic. “The hurdle to being fully organic has been the availability of an organic purple maize,” he explains. Currently, Native State sources its maize from small, sustainable family farms in the U.S., and Ochoa says that the company hopes to have access to certified organic maize next year. There are lots of great ways to consume pinole. Ochoa likes to prepare it like oatmeal and sprinkle granola over the top, but the sky’s really the limit. 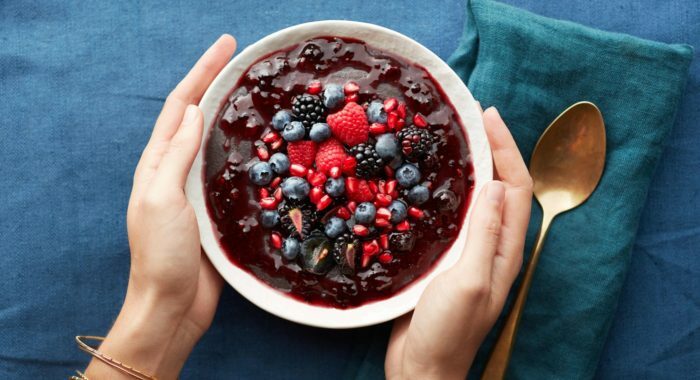 Purely Pinole and Thrive Market worked together to create an antioxidant-rich pinole bowl recipe with fresh berries and jam. But just because pinole is usually eaten as a breakfast cereal doesn’t mean you have to stop there. Many people who enjoy pinole for endurance have created easy-to-transport bars that they can take on runs and hikes: this version has the added benefit of being sweetened with dates instead of sugar, while this recipe also includes chia, another superfood commonly consumed by the Tarahumara. You can even drink pinole, either by adding it to your favorite smoothie recipe or by sipping it as a horchata-like beverage. For full article visit organicauthority.com.